The 3 bed apartment Alba Mar Gran is located in the picturesque bay of Cala San Vicente. The apartment has direct sea view. Mar Gran is completely equipped and furnished in a Mediterranean modern style, light and friendly. The apartment disposes of 2 double bedrooms, 1 single room, 1 bathroom and 1 showerroom. The fully equipped modern kitchen is open towards the living area and a perfect site to prepare family diners. The living area has a confortable sofa, dining table and seats up to 6 persons. From the kitchen you step out to a little round balcony with round table and seats up to 4, and from the living area you step out to another little balcon with a round table and two confortable chairs. There is a public parking place next to the house where you can leave the car without any charge. In Cala San Vicente, you will find everything that you need: beautiful beaches and bays, restaurants, bars, supermarkets, newspaper store, a barbershop,bike rental, etc. The beaches of the bay are ideal for families with children. Friendly and peaceful ambiance. 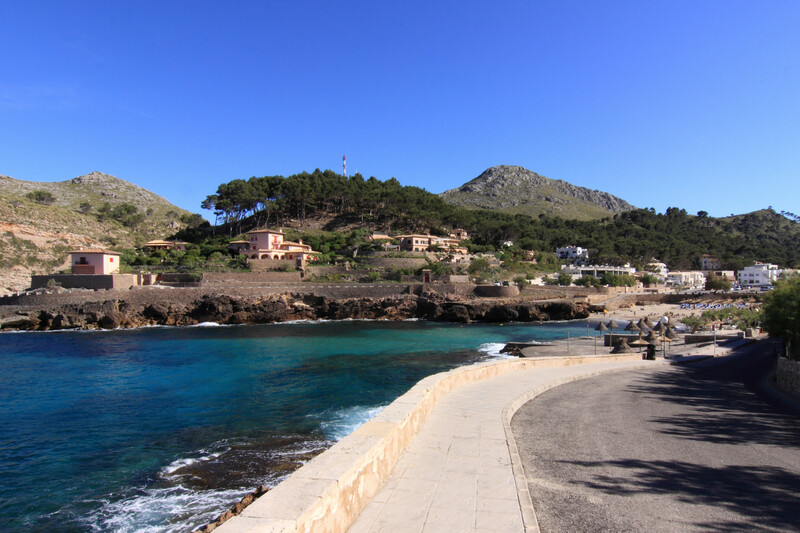 Cala San Vicente is about a 5 minute drive from Pollensa and Puerto Pollensa. The beaches of Formentor and Puerto Pollensa can be reached just as quickly. You will find a large selection of restaurants of all types and categories in the cities of Cala San Vicente, Pollensa and Puerto Pollensa. Cala Sant Vicenç - the village and its beaches: Cala Sant Vicenç, once a small fishing village, now grown into a sophisticated bay village but still retaining its original charm and character. It is very popular for its beautiful beaches. 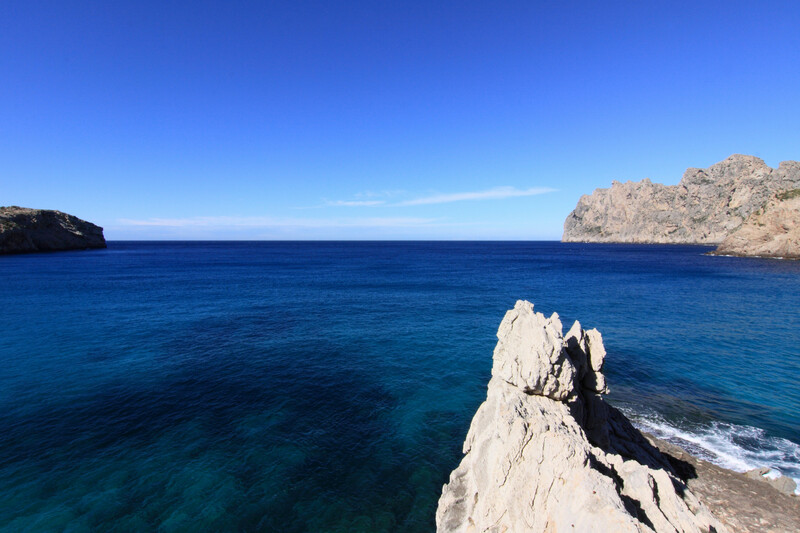 Cala Sant Vicenç has two lovely bays with beautiful clear blue waters whichs is ideal for snorkelling when the sea is calm. The first bay is Cala Barques and the second bay is Cala Molins. Cala Barques, is a sandy bay with good facilities (restaurants and sunloungers), however, quite busy. The second bay, Cala Molins, is sometimes a little quieter, it is a sandy bay with best facilities (beach bar, restaurant and sunloungers). Both bays dispose of a life guard in summer. There are two smaller bays, Cala Clara (very small sandy beach next to Cala Barques) and Cala Carbó (no sand, stony beach with pebbles) next to Cala Molins. 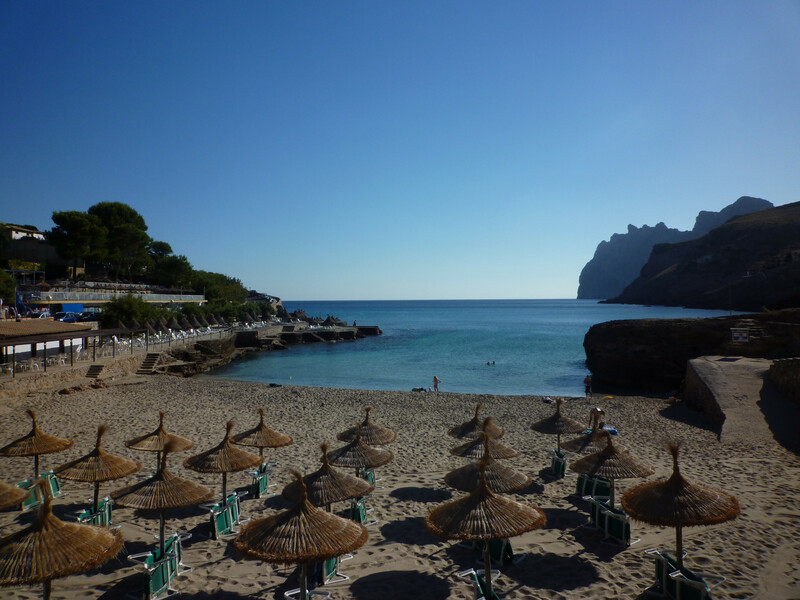 The beautiful beach of Cala Molins is ideal for any ages and suitable for families with children. 1 Queen size bed, 3 Single beds. 1 TV, TV Satellite, Stereo, DVD, iron, safe, internet (Wi-Fi), hair dryer, balcony, 75 m² property, air conditioning (hot/cold), air-conditioned.